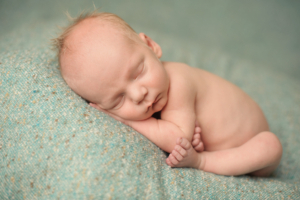 Are you finding that some of the photos of your new little one aren’t coming out as well as you had hoped? Have you unintentionally cropped out an ear? Or are a lot of your photos too blurry or too dark? Or both? Well, we’re here to help! We’ve made a quick list of camera tips for beginners in order to help you get that perfect shot of your perfect little person! If baby is a mover, switch your camera to the “sports” mode. (We know it sounds funny, she’s not exactly running the 100 metres or playing a hockey match, but trust us, it helps reduce the number of those unusable blurry photos!) You’ll find this if you select “scene” and then go into menu. Another mode you’ll find useful here is the “portrait” mode. This setting helps by focusing the camera on baby, and blurring the background. One last good setting to know is the “close-up” mode for when you really want to zoom in on that gorgeous face. Play around with actually moving your camera, and using your zoom and you’ll get some wonderful shots! Ideally baby’s face should be facing the light. A picture can work equally well if the light is at a side angle. (Not all the way to the side, maybe 45 degrees.) One rule not to break, don’t have the light directly behind your baby. For those close-up shots, a good trick to making sure that the whole face is in focus, is to make the eyes the focal point. The most important part of that beautiful little face, if they are in focus, the rest of the face will be too. If your baby’s face is appearing too dark in the photo, adjust your exposure using the small dial ( +/-) at the top of your camera. If you’re shooting in black and white beside a strong light source, you may need to pay extra attention to your exposure. Playing around with photographing baby from different angles, can have some wonderful results. Try getting down as low as you can and looking up at baby. Or alternatively you could try shooting from directly above her. Play around and have fun!